To access the setup, hover over a company in the 'My Companies' screen, and click the cog icon. 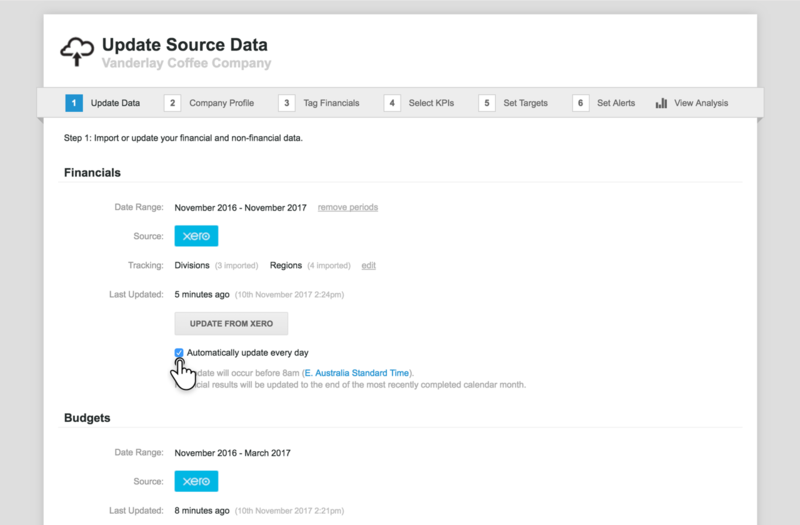 In 'Step 1: Update Data', you can update financial results, budget data and non-financial KPIs. If your financials are sourced from a cloud-based system (Xero, Quickbooks Online or MYOB AccountRight Live), Fathom will automatically update your financial data every 24 hours, to the nearest completed month. You can switch this feature off by unticking the 'automatic update' option, under 'Financials'. If required, you can delete previously imported financial periods. This is useful if you have imported results for incomplete periods, which may be distorting QTD or YTD analysis. 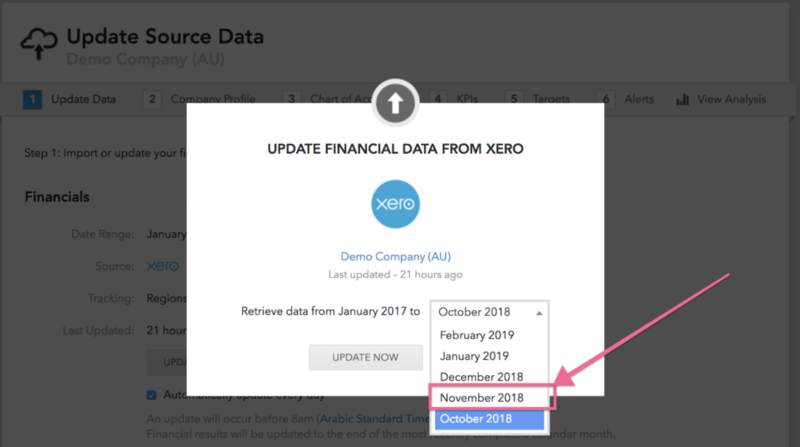 Click 'Remove Periods' next to your financial date range. Caution! Prior periods cannot be added back to Fathom once they have been removed. You can always delete current periods without trouble (periods from the current month and previous), however removing prior periods (periods including the start month and forward) means those periods cannot be added back, and it will require the company to be deleted and re-imported. If required, you can delete a previously imported budget. This is useful if you wish to replace this budget with another budget. When you have finished adding or updating data, please proceed to 'Step 2 - Company Setup'.